The pressure piles up on oil, as more Middle Eastern countries cut ties with Qatar. But the White House calls for calm, saying President Trump is committed to de-escalating tensions. NBC learns the FBI has arrested and charged a contractor who leaked a top secret NSA report on a Russian cyber-attack on U.S. voting software, just days before former FBI director James Comey tesitfies on the hill. Donald Trump clashes with the Justice Department on Twitter, as the President is warned he is hurting his own legal case to clear his travel ban in court. 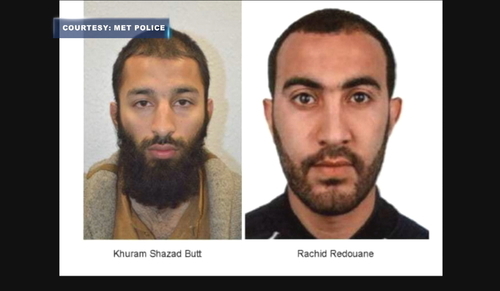 Two of the London Bridge attackers are named as well-known members of an extremist Islamist cell, increasing pressure on British security services. 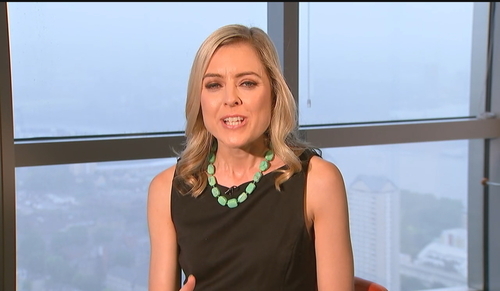 Escalating tensions in the Middle East, the impending testimony of the former FBI director, British elections and a European Central Bank meeting this week, all took their toll on Asian stocks, oil and the dollar on Tuesday. 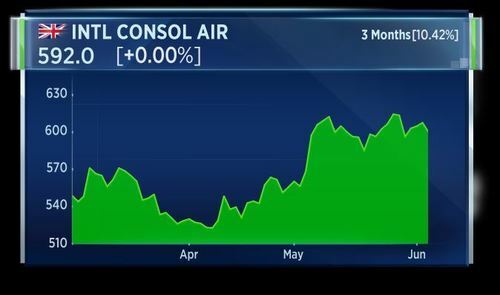 Oil fell back following a brief recovery after Saudi Arabia and several other Arab states severed ties with Qatar, accusing it of supporting extremism and undermining regional stability. 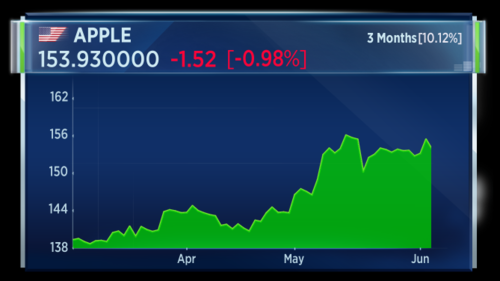 The dollar index touched a seven-month low ahead of testimony before Congress from former FBI director James Comey on Thursday. Officers from the MET's counter terrorism command investigating the London Bridge terror attack entered an address in Ilford. That's according to Reuters. Two of the three attackers from Saturday's terrorist attack on London Bridge, which left 7 dead and 48 injured, have been identified. 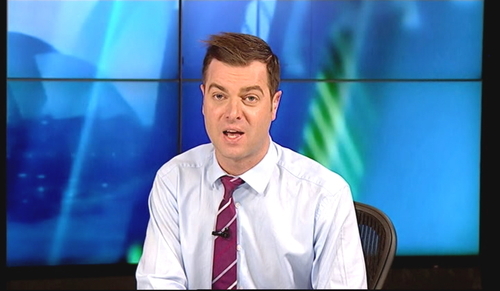 But, new questions have emerged about the authorities' failure to stop them. The U.S. Justice Department has charged an intelligence contractor for leaking a classified document about Russian election interference to national-security news outlet, The Intercept. The NSA document -- described cyberattacks on a voter registration-related software company and local election officials by Russia's military intelligence. The Justice Department says it is charging the 25-year-old Reality Winner under the Espionage Act, which can carry a sentence of up to 10 years in prison. Oil prices are under pressure after several Arab powers including Saudi Arabia, Bahrain, the UAE and Egypt cut diplomatic ties with neighbour Qatar. The Gulf nation's stocks have hit a low not seen since January 2016. Yemen, Libya's eastern-based government, and the Maldives have also joined in on the coordinated move to sever ties. At the end of the day it is a local issue more than a geopolitical issue at this moment. Right now Saudi Arabia, UAE, Bahrain all saying, accusing Qatar of not just being involved with terror but sponsoring terrorism as well. Apple tries to take a bite out of Amazon with its 'HomePod' speaker, which looks to compete with Alexa for a place in people's homes. 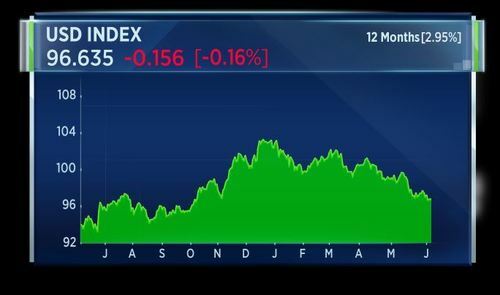 Australia is underfperforming the rest of the Asian stock markets. A series of lowered first quarter GDP forecasts and a disappointing current account deficit number are weighing on equities. Meanwhile, the RBA has held key rates at a record low in its latest monetary policy decision. The expectation was that we will see the first surplus come through since 1975 but there were some of the other numbers associated with the current account that is weighing the Australian equities, pushing the markets down by about 1.5 percent. 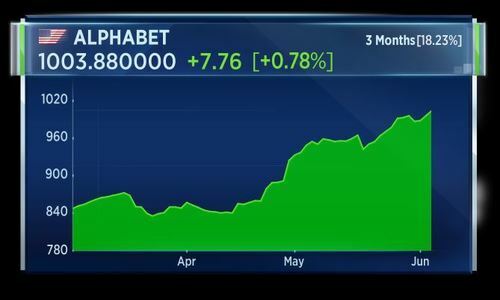 Shares in Alphabet, Google's parent company, passed an important milestone for the first time in yesterday's trade - helping the NASDAQ hit another all-time intraday high in the process. Apple kicked off its annual worldwide developers' conference by unveiling a number of product updates. 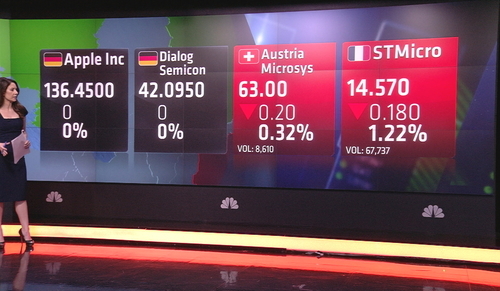 However, the new devices failed to wow investors - with Apple stock ending the session lower. Christine Lagarde, the managing director of the International Monetary Fund, says her organisation is willing to sign up to the next round of Greece's bailout. Speaking to the Handelsblatt newspaper, she said the IMF is prepared to give Greece's creditors more time to agree on debt relief measures. The compromise paves the way for euro zone finance ministers to approve the payment of the next tranche of Greece's bailout fund. 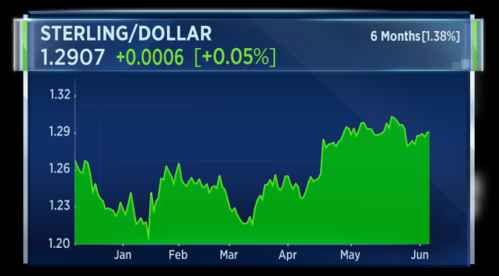 Sterling continues to strengthen after hitting a 10-day high against the U.S. dollar. An ICM poll giving the Conservatives a commanding lead over Labour ahead of the general election helped propel the currency higher. What we can expect going forward is a much more intervention from the state whether it is the Conservatives or Labour who does get in later this week. This is an economy that is not very much for being liberal and we are about to see a bit of that reversed. Lot more focus on workers and worker rights and additional training and all of this is going to get imposed on businesses. Deutsche Bank has asked for more time to reply to a request by Democrats in the U.S. House of Representatives, who recently demanded any details the bank may have about President Donald Trump's ties to Russia. According to a Reuters report -- the bank's external counsel sent a letter last week saying it needed more time. The request by Congressional Democrats carries no subpoena power because no Republican committee members have agreed to support it. The foreign exchange market is pricing in something like a 20-40 Conservative majority so its worried about it but not that concerned. I think the equity market is still looking at something 50 plus. We like everybody else are concerned about the size of the majority, the weakness of the Conservative campaign, the strength of the Labour campaign. Sterling finds support as politicians return to campaigning, with Theresa May pledging more armed police in the wake of the attacks, while Jeremy Corbyn calls for her resignation over the previous police cuts. Apple tries to take a bite out of Amazon with its 'HomePod' speaker, as big tech names rally - taking the Nasdaq to new all-time highs. 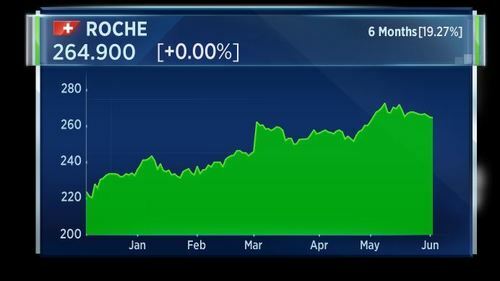 Roche is called sharply lower, with traders citing the disappointing outcome of a trial of its two key breast cancer drugs. 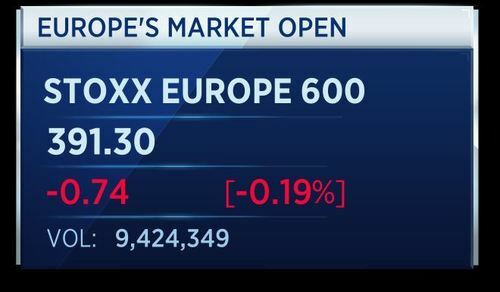 European markets are set to open lower amid a political rift between Qatar and several other Arab countries and as investors take a cautious approach ahead of a general election in the U.K. and a European Central Bank (ECB) meeting. 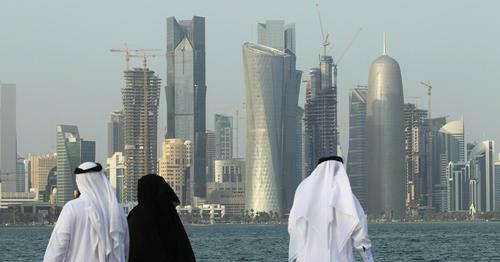 Reuters is reporting that some Saudi and UAE banks are holding off on business with Qatari banks, such as letters of credit, awaiting guidance from central banks. That's according to sources. 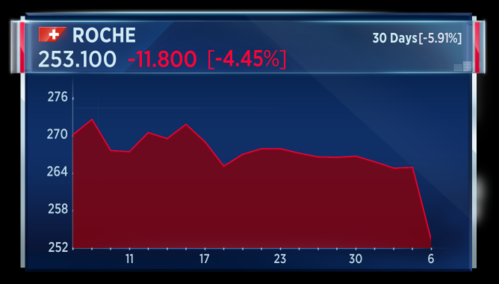 Shares in Swiss pharmaceutical giant Roche are called to open 5 percent lower. 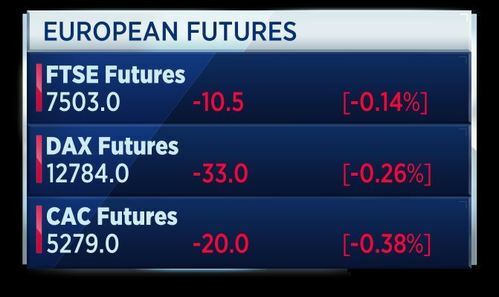 The fresh move lower comes after the firm's U.S. shares fell as much as 8 percent in yesterday's trade. This after data from a clinical trial data showed its latest breast cancer drug, Perjeta, used in combination with its original medecine, Herceptin, offered only produced modest benefits for patients. An independent study has been commissioned by British Airways into last month's power outage which resulted in hundreds of flights being cancelled, and left tens of thousands of passengers stranded at London's Heathrow and Gatwick airports. The CEO of BA owner IAG, Willie Walsh, said the airline was hoping to learn from the experience and "be better as a result." 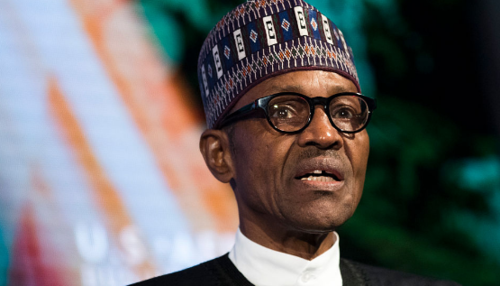 Reuters are reporting that Nigerian president Muhammadu Buhari is "recuperating fast" according to a state spokesman who is in turn quoting Buhari's wife. Nigerian media has reported that Buhari is due to return to Nigeria next week after an extended trip to the U.K. to seek medical attention. Little is known about Buhari's condition and sightings in London have been rare. 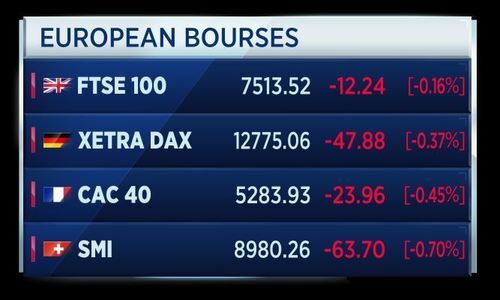 CNBCEuropean markets are set to open lower on Tuesday morning amid a political rift between Qatar and several other Arab countries and as investors take a cautious approach ahead of a general election in the U.K. and a European Central Bank meeting. Apple has move into an almost leasing process. When the next phone comes out, they give you a couple of hundred for our existing phone. 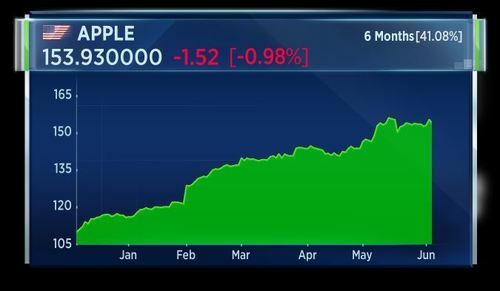 Michael Browne, Fund Manager at Martin Currie says Apple is taking advantage of its huge cash pile to adopt a relatively unusual selling model. Apple kicked off its annual worldwide developers' conference by unveiling a number of product updates. However, the new devices failed to wow investors - with Apple stock ending the session lower. 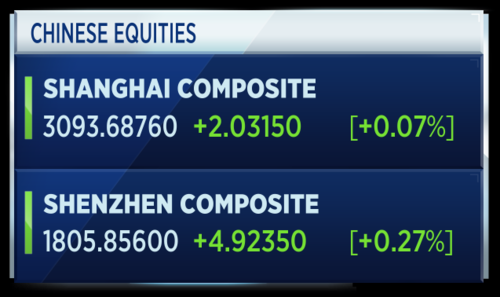 Chinese stocks have closed the Tuesday session a touch higher. Shares in Swiss pharmaceutical giant Roche are trading sharply lower, following an eight percent fall in the US listing. This after the disappointing outcome of a major drug trial. Data from the so-called Aphinity study showed Roche's latest breast cancer drug, Perjeta, used in combination with its original medicine, Herceptin, offered only very modest benefits for patients. 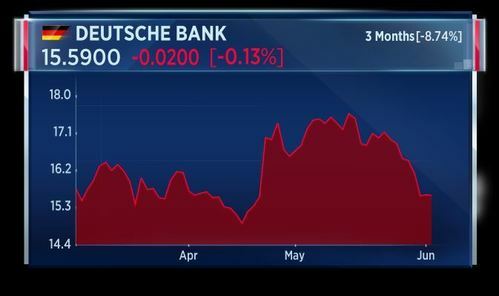 Deutsche Bank has reportedly asked for more time to reply to a request by Democrats in the U.S. House of Representatives. The Democrats recently demanded any details the bank may have about President Donald Trump's ties to Russia. 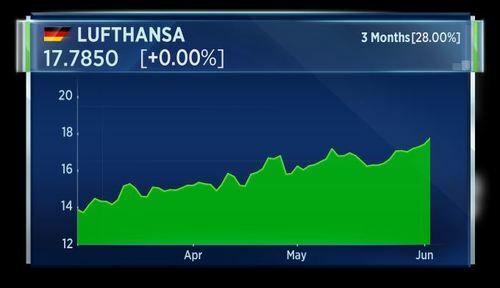 Lufthansa is eyeing up opportunities in Italy, saying it won't rule out buying Alitalia planes if the embattled airline was forced to sell. This after CEO Carsten Spohr said demand for flights was better than expected this year, adding the German carrier was getting "more optimisitic every week." HSBC has cut Burberry's stock rating from hold to reduce and lowered its price target to 1580 pence. The downgrade comes amid a challenging time for the luxury brand, which reported a a fall in full-year profit and is awaiting the arrival of new CEO, Marco Gobbetti, who is due to take the helm next month. 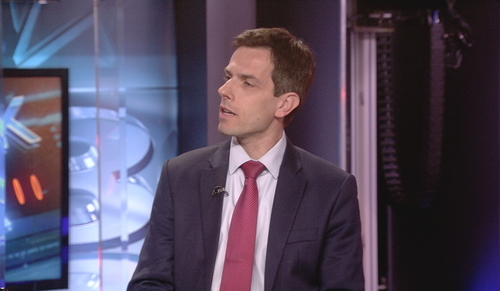 Luca Paolini, chief strategist at Pictet Asset Management is now on set. He says an upgrading of UK equities to overweight is no bold move, even though there is a U.K. general election on Thursday. The global economy is extending its broad-based recovery, fueled by a pick-up in activity in emerging markets – even though the momentum of growth has moderated. Corporate earnings prospects are reasonable while monetary conditions remain favorable worldwide as central banks continue to provide ample stimulus. This reinforces our case for being overweight equities; UK stocks look good value but US equities remain expensive. 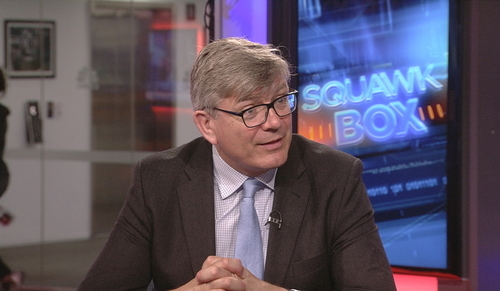 The strategist says the recent run for sterling is "probably done" and a weaker domestic currency will be supportive for the FTSE 100 stock market. Is the sterling run done? The U.K. government should reassess its invitation to U.S. President Donald Trump for a state visit later this year, according to London Mayor Sadiq Khan. “I don’t think we should roll out the red carpet to the president of the USA in the circumstances where his policies go against everything we stand for,” Khan told U.K. broadcaster Channel 4 on Monday evening. “When you have a special relationship it is no different from when you have got a close mate. You stand with them in times of adversity but you call them out when they are wrong. There are many things about which Donald Trump is wrong,” he said. On Tuesday morning he reiterated his stance, telling the BBC that "there are so many things Donald Trump is wrong about, and in those circumstances I'm not in favour of a state visit." 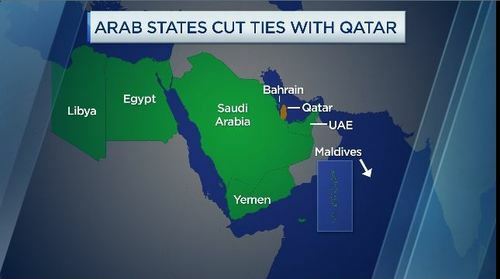 At the end of the day Qatar needs its neighboring Gulf Arab states much more than they need Qatar. Hadley points out how crucial Qatar is as a trade hub to several sectors. She also notes that a ban on direct travel to Qatar has come at an opportune time as Muslims observe the fasting month of Ramadan. Hadley notes that this is a time of reduced productivity in any case. U.K. Foreign Secretary Boris Johnson, says state visit invitation to Donald Trump has been issued and accepted, I see no reason to rescind it. Johnson, when asked about Trump's tweets about London Mayor Sadiq Khan, says Mayor was right to reassure Londoners about presence of armed police on streets. That's according to Reuters. A disappointing drug trial sends Roche sharply lower, as a major study reveals a combination of its key breast cancer medicines only has modest benefits for patients. 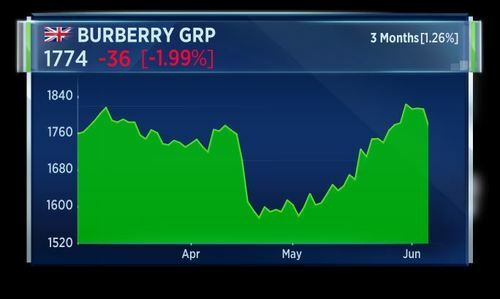 Burberry falls out of fashion with analysts at HSBC - downgrading the UK luxury fashion house from hold to reduce, one month before the new CEO takes charge. 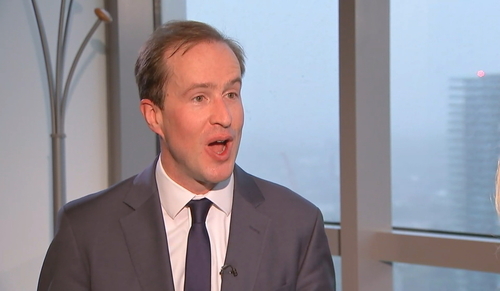 Michael Browne, Fund Manager at Martin Currie is telling Geoff that there is a very good chance that in the next few days the European Central Bank will shut down Banco Popular in Spain. Banco Popular is reportedly trying to find a buyer and fighting to retain liquidity. It is said to be meeting the ECB this week. Browne says a shutdown of the bank would be a boon for the remaining Spanish banking sector. Banco Popular is the largest lenders to SME's and individuals in Spain. Spain is growing at 3.5 percent this year and may do again next year. What a great moment for Spanish lenders for one of your main rivals to disappear. The Conservative Party has pledged to resurrect the UK's board of trade to help boost the country's exports and attract FDI after Brexit. The board, which was first established in the 19th century and was once led by Sir Winston Churchill, would bring together leading business figures and politicians to help lead trade delegations. During the campaign we heard a lot about how the economy would tank if Britain voted to leave, how growth would be cut and employment would go up. And that hasn't happened, in fact the economy is doing pretty well since Brexit. I am more of a backer of Brexit now than I was then. I think once the talks start on the 19th of June, the official Brexit negotiations and once the election is out of the way I think the confidence will be high. I think people will see that the Prime Minister wants to go for an open Brexit. What I would do in the next few days if you are trying to look at where this campaign is going is look at where the leaders are. Because where they are will tell you what seats they are defending or attacking at this point of time.